In his native Italy, the Bracco Italiano is known as a hunting dog breed, but he’s also gaining notice as a sweet and affectionate family companion. With his long ears, droopy lips, and soulful expression, the Bracco Italiano has a distinctive look. 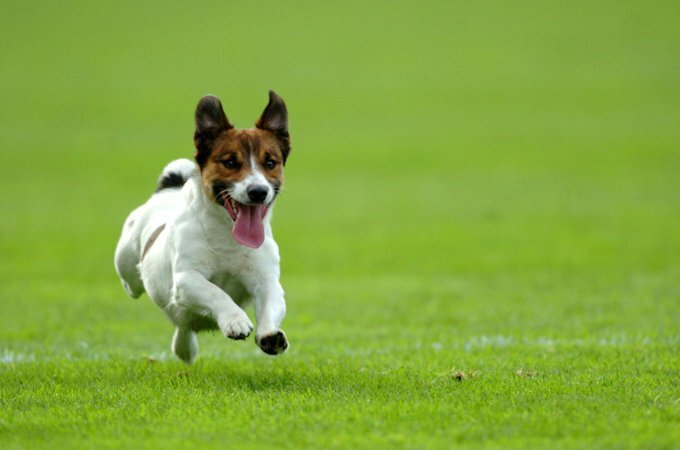 He’s believed to be an ancient breed, dating back to the fourth or fifth century B.C. See below for complete list of Bracco Italiano characterisctics! In his homeland of Italy, the Bracco (plural is Bracchi) is primarily a hunting dog, but people are starting to discover that this attractive dog with the noble appearance and pleasant personality is also an excellent companion and show dog. 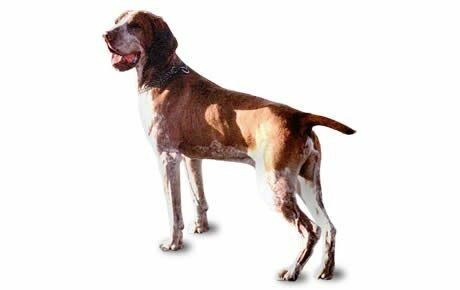 Also known as the Italian Pointer, the Bracco is capable of all types of hunting and both points and retrieves. In the home, he's calm and sweet. Train this intelligent dog with gentleness and consistency and he'll always aim to please, but sharp corrections will cause him to stop trying. Ever alert, he'll probably bark when people approach the home, but he's too gentle to make a guard dog. The Bracco is accepting of other people and dogs, children, and even cats if he's raised with them. Males stand about 23 to 26 inches at the shoulder, females stand 22 to 24 inches. Weight ranges between 55 and 88 pounds, depending on height. The Bracco's short, dense, shiny coat can be white; white with orange or dark amber markings; white with chestnut markings; white with speckled pale orange markings; or white with roan-chestnut markings. A weekly once-over with a grooming mitt is all that's needed to keep him looking sharp.